Our vets have a special interest in reptiles. We can help with all aspects of preventive care and treatment to ensure that your much love reptilian stays happy and healthy. Our vets have the skills and medical equipment to care for snakes (pythons and elapids), lizards (e.g. dragons, goannas, geckos) and turtles. Your reptile should have a check up at least once a year to ensure preventable diseases are caught early. If your reptile is showing any of the signs about and you have checked it is not an issue with its environment (eg. 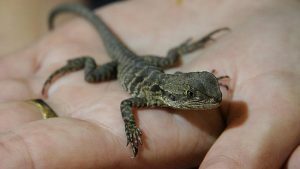 temperature, access to food and water, other pets scaring your reptile etc), then it is important to get your reptile to the vet as soon as possible.